The bears were stopped by the level of 61.8% and started a new correction. In the near term, the price may continue consolidating for a while. However, later it is expected to continue falling down towards the target area, formed by three fibo-levels..
At the H1 chart, the pair has almost reached the level 38.2& of the previous descending movement. Most likely, the price will move sideways during the next 24 hours. According to the analysis of temporary fibo-zones, the pair may start a new descending movement tomorrow. Despite the current correction, the forecast is still bullish. 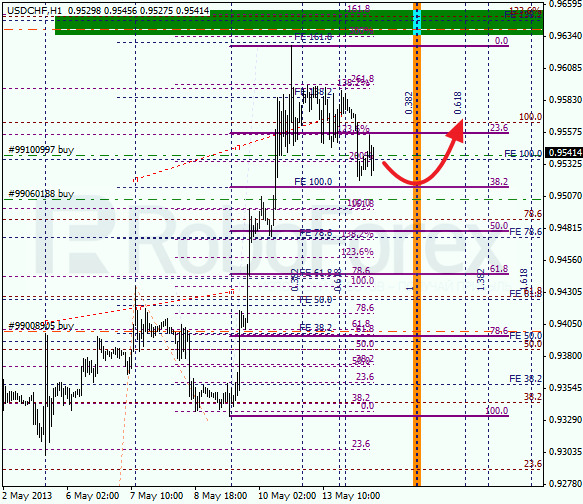 There is a possibility that Franc may reach the target area by the end of the week. 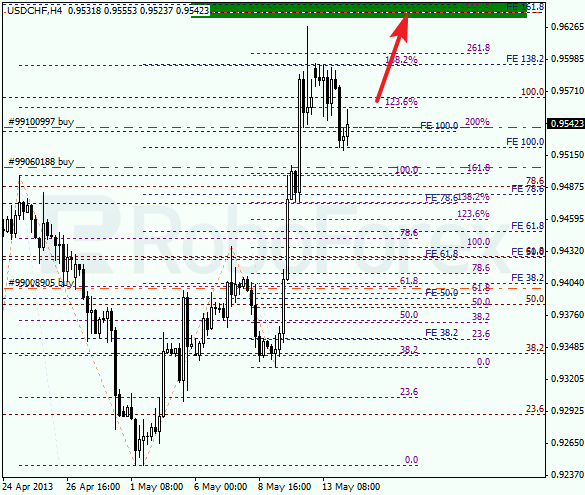 The target for the bulls is at the level of 0.9640. At the H1 chart, the pair is being corrected. During the next several hours, we can expect the price to reach the level of 38.2%. If the market rebounds from this level, the pair will start a new ascending movement towards predicted levels. Later, the target levels may become a starting point of a new correction.